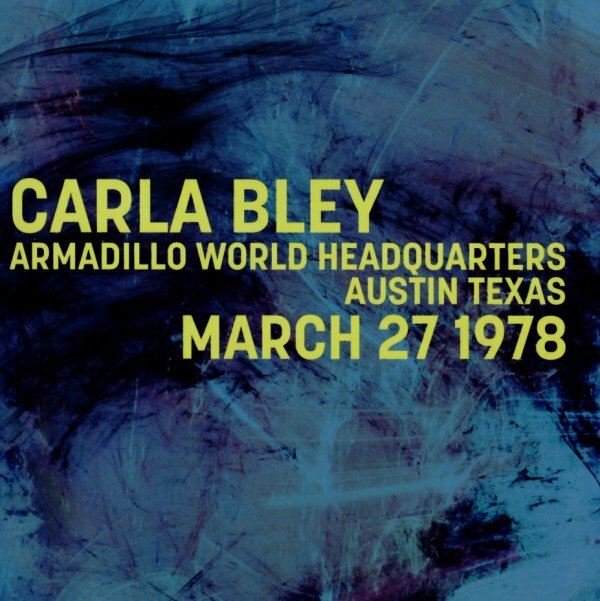 Really great live work from the always-enigmatic Carla Bley – a set of tracks from one of her great ensembles of the 70s, and one that shows that her brilliance as a leader worked equally well in a spontaneous setting as it did in the studio! The tracks are long, magnificent, and full of that balance of modernity and humanity that always set Bley apart – even when she was a young composer whose work was being taken up by others, long before she was able to record as a leader! This live set was very well-recorded by radio in Austin, and captures every nuance in the music – from a lineup that includes Mike Mantler on trumpet, Gary Windo and Alan Braufman on saxes, George Lewis on trombone, Blue Gene Tyranny on keyboards, Phil Wilson on drums, and Bley herself on piano and organ. Titles include "440", "Isle Of Pene", "Jesus Maria & Other Spanish Strains", and "Drinking Music". © 1996-2019, Dusty Groove, Inc.